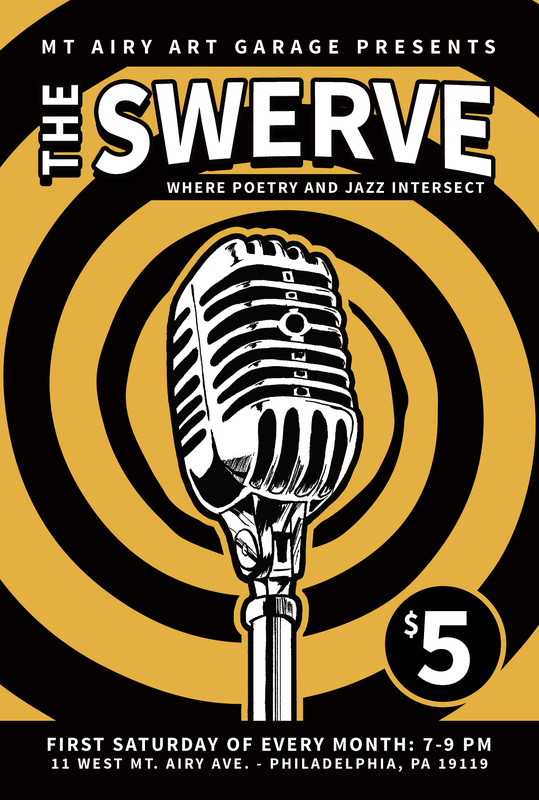 Created and designed a flyer for a monthly event called The Swerve at the Mt. 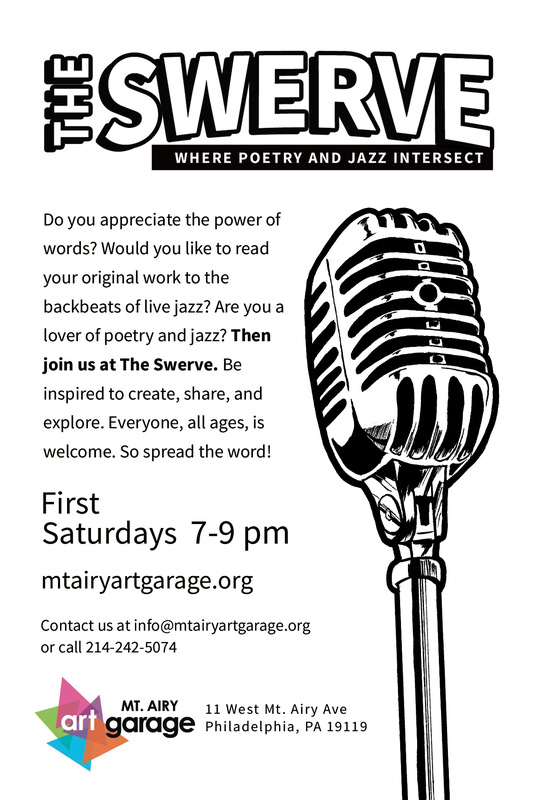 Airy Art Garage that was used to help promoted the event. It involved me creating the illustration of the microphone and the spiral background as well.